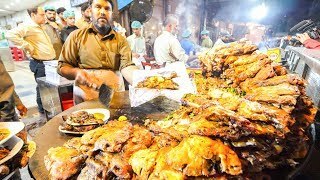 Home / Travel & Events / The Ultimate DUBAI FOOD TOUR - Street Food and Emirati Cuisine in Dubai, UAE! 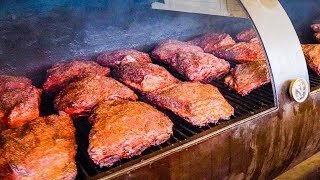 Check out this amazing food in Dubai, UAE! 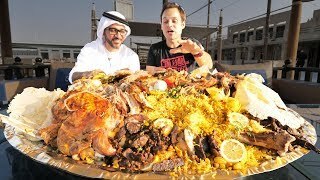 When I was in Dubai, I had the privilege of hanging out and eating with my friend Peyman (https://www.youtube.com/channel/UCu2SDLtoqPZlZYgbyMI5c2A). He’s from Dubai, he loves to eat, and he knows some of the best food spots in Dubai. 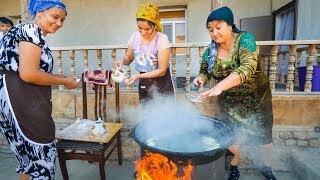 So in this Dubai food tour, we went around and ate Emirati food, rice and lamb, street food, karak tea, and finally ended with home cooked Emirati food at Peyman’s home. 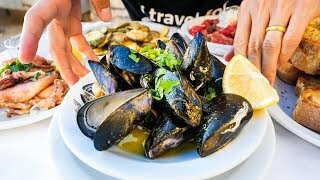 One thing I want to quickly mention, and Peyman and I discussed this in the video as well, is that Emirati food at restaurants is still not very common in Dubai. This is because there are so many international restaurants in Dubai, and local Emiratis typically just eat their food at home. But things are changing and there is starting to be a higher demand for Emirati food in Dubai. Al Fanar Restaurant - One of the only full Emirati food restaurants in Dubai. 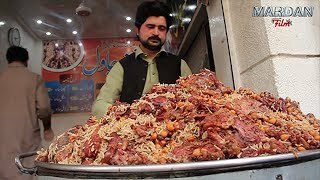 We ordered Luqaimat, Tharid, Madrooba, Balaleet. All the food was fantastic, and it’s a nice environment. Karak - 0.50 AED ($0.14) per cup - This is originally adapted from India, but it’s a full part of the culture in UAE, and you can get cups of karak tea right to your car. Al Marhabani Restaurant - Mandi is one of the greatest Arabian food dishes, originally from Yemen. 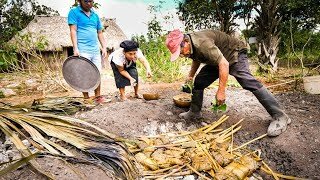 It includes rice and meat that’s traditionally cooked in an underground oven. The lamb here was outstanding. Al Labeeb Grocery - Regag bread - This is a little gem of a shop that Peyman took me to. They make some Dubai street food style crepes with cheese and fish sauce, and it’s awesome. Machboos - Finally at Peyman’s house for dinner, he cooked machboos, one of the national dishes of UAE. It was a great way to end this Dubai food tour! 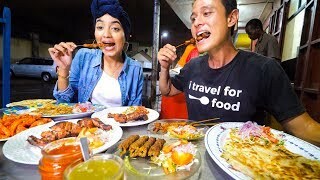 Thank you for watching this Dubai food tour! 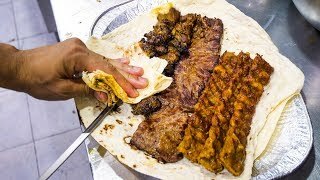 Food in Dubai - INCREDIBLE Iranian Kebabs & Whole Fish Fry | Deira, United Arab Emirates! 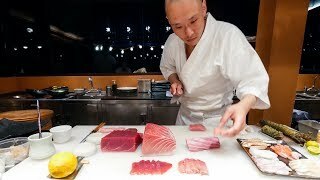 Sushi Omakase - PERFECT Japanese Food Sushi by Chef Hiroyuki Sato at Sri Panwa, Phuket! 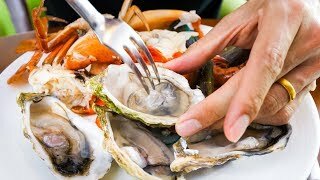 SOFITEL BRUNCH BUFFET - The Best All You Can Eat Buffet in Bali, Indonesia!